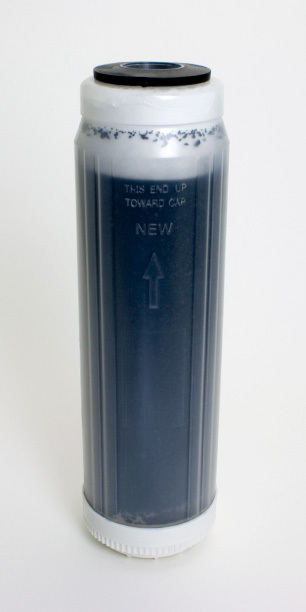 This is an uncertified granular cartridge that contains Centaur catalytic carbon. Centaur is specifically designed for chloramine reduction from city water or iron and hydrogen sulfide removal from well water. Recommended flow rate: up to 0.5 gpm for chloramine and hydrogen sulfide reduction.